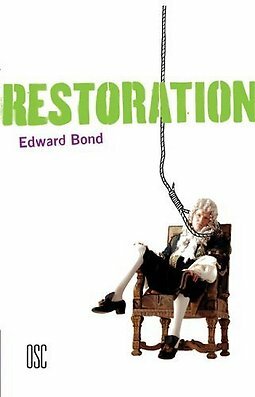 Restoration is set in eighteenth-century England: a world of cruelty, injustice and iron privilege. Lord Are is forced by poverty into an unwanted marriage with the daughter of a wealthy mineowner. One morning, during breakfast, he commits a bizarre and fatal crime. He seeks to pin responsibility for it on his guileless, illiterate footman, Bob Hedges. A battle ensues between Bob's black, justice-hungry wife and the fortified privilege of the ruling classes.